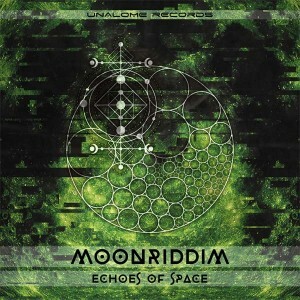 Echoes Of Space is the first release from Moonriddim (AKA Simon Hediger), an upcoming psychedelic artist from Switzerland, and also the debut from Unalome Records. Hediger fell in love with psytrance in 2007 and began DJing in 2011. With a lot of ideas and inspiration in mind he started making his own music in 2013 and is now exploring the infinite possibilities of sonic creativity. His driving and psychedelic style motivates dance floors to move and takes your mind to a travel in space, which is also the theme of this release. Mastered at Lobophon Mastering in Switzerland with artwork by Omnom from Unalome Records. MP3 Download | FLAC Download | WAV Download · Download count: 8,802. Just about as badass as it gets! This is powerful stuff, much respect! I will be playing this! Great sounds, great work ^^ Love it to listen it! this is seriously mindblowing full on / twilight. greaaaat production and subtle dark vibes. I would spin every song here.